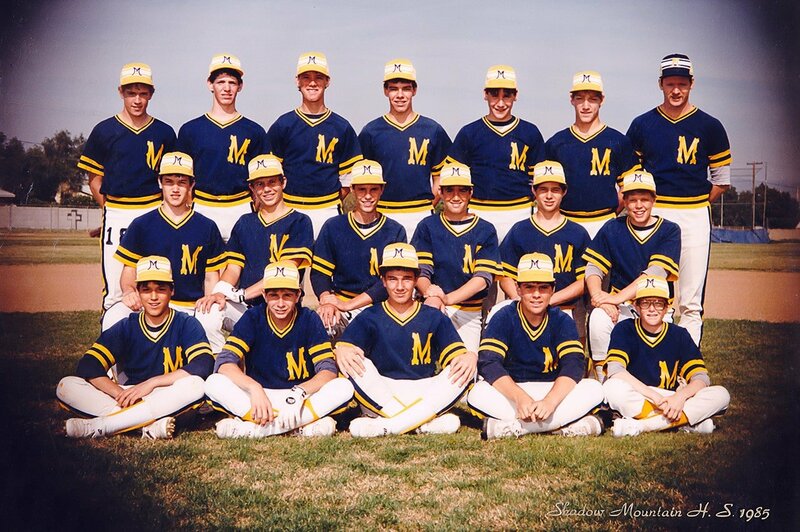 Shadow Mountain High School Matadors Varsity Baseball Team - 1985 - Curt Schilling pictured to the right. As a young athlete, I was mediocre. I had moments of brilliance, but I could also have times where I looked as if I forgot how to play the sport entirely. I tried hard, but Bo Jackson I was not. In the summer of 1984, my family moved and I was to attend a new school. Shadow Mountain High School in Phoenix, Arizona. Even though it was a mere 6 miles away from the grade school I attended the year before, I would only know 3 out of 800 people that would be in my freshman class. And, like the plot of a John Hughes movie, two of them (for some unknown reason) did not want to continue our friendship. This was a very awkward time for me to say the least. In my early time at Shadow Mountain I had gained a lot of weight and I had very little self confidence. I joined the football team and quit before one practice even ended because I was completely unprepared and incredibly out of shape. To add insult to injury my bike was stolen. I wound up walking home a mile and a half, which felt like 25 miles. One of the things that I was (mildly) encouraged by was the upcoming high school baseball tryouts. I loved baseball and everything about it. I enjoyed playing little league and had forged many friendships within that. In addition, my real talent was drawing Major League baseball logos that I would actually sell at a local baseball card store (a story that I will document in another blog). But one thing that really sticks out in my memory of this time was a tall blonde kid who would walk through the high school lunch area wearing a black satin Pittsburgh Pirates jacket. It did not have the ‘P’ logo on it, similar to the hats. Instead it had the iconic Pirate face logo from the 1970’s (pic). He was a senior, and I was a freshman. As I saw it, he was a full grown man. But that ‘kid’ was Curt Schilling. And the word was that he pitched for the Varsity baseball team. 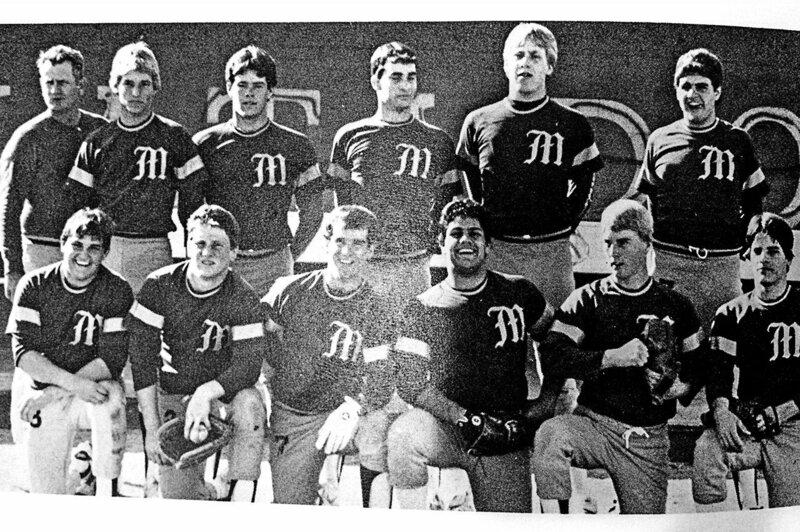 In the winter of 1985 baseball tryouts had started. I quickly found out that all of my previous little league taught me very little about playing at a higher level. I distinctly remember throwing a ball from the outfield about four stories over the cutoff man. As you can imagine I was immediately berated by the coaches. And rightly so. From there on I really concentrated on trying my hardest to do the best with what I had. Through one grueling practice after another, I survived. I wanted to quit many times, but knew I had nothing to lose by sticking it out and trying my best. And when the team came down to final selections, by some miracle I had made the team. This may all seem like a small thing, but with everything I was dealing with…even being the last player on the bench was an incredible accomplishment for me. But the struggle had just begun. I didn’t get much playing time. And in a key pinch hitting situation I struck out looking. My coach even had me pitch an inning to see if he had anything he could salvage in me. I pitched a good inning, and then followed it up by a horrible one. After I was pulled from the game I stood next to my coach hoping for some guidance. He said to me “Mike, don’t stand next to me unless you do good.” Later that year he had an even better quote during a team ‘pep-talk’ when he said, and I quote, “We are only as strong as our weakest player. And our weakest player is Mondragon.” My only guess is that he wanted me to quit. But there was no way I was going to do that. That would have been too easy. 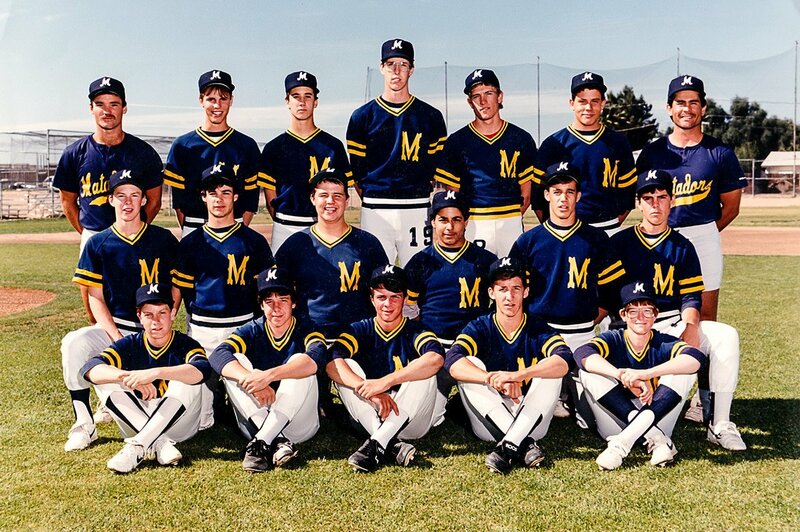 Curt graduated from Shadow Mountain in the summer of 1985 and was drafted by the Boston Red Sox in the 2nd round of the January 1986 amateur draft. Actually, I look back, my coach’s words were a real turning point for me. I used that experience and motivation to work hard for the following year. I hit and fielded well in my summer league and would go to the batting cages regularly to improve. I became the captain of the junior varsity team in my sophomore year. And I had a lot of momentum going into my junior year of 1987. A sudden change in the management of the baseball program meant I had some new coaches to impress and a lot of promise going into the season. As was customary in Arizona many major and minor leaguers would come out and train in the winter before Spring Training would begin. 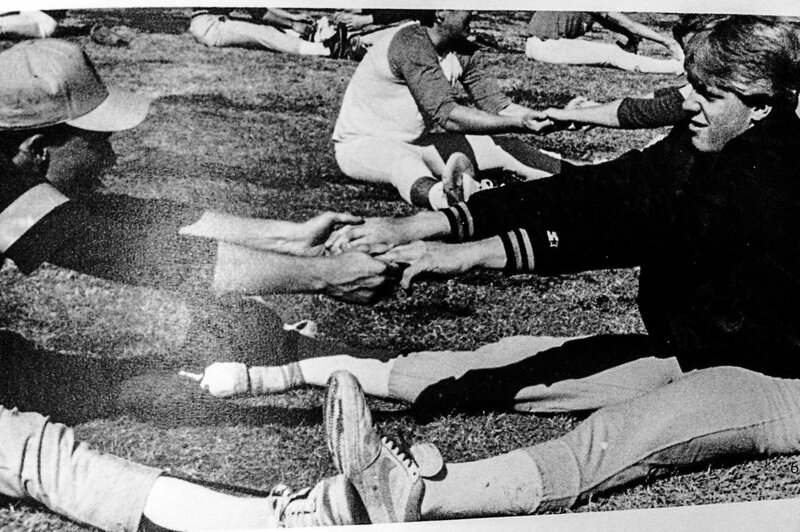 I distinctly remember Tom Pagnozzi working out with us as he was the brother-in-law of a teammate of mine. But nothing could prepare me for what would happen next. Curt came to work out and was asked to throw ‘live’ to us. He wasn’t World Series MVP Curt Schilling yet. Nor was he ‘bloody sock’ Curt Schilling. He was simply a young hungry minor leaguer. But to us, he was exactly who what we aspired to be… a drafted baseball player. This ‘simulated game’ was basically to help Curt and give him some game situations to work on. The benefit is, that we got to work on our own game situations as well. Backed by the varsity team, Curt took the mound. And after a few rounds I was on deck. I was encouraged by a smaller player who had promptly hit a double off Curt to start the inning. From there, it was now my turn. I stepped in, took some ritualistic half swings as I dug in. Curt’s first pitch whizzed by me as if I wasn’t there for a clear strike. While he wasn’t lighting up the radar gun against us, it was clearly faster, more accurate and just a different level that I hadn’t seen before. I knew I was overmatched, but I can’t imagine a time in my baseball career that I wasn’t overmatched. So instead of seeing more pitches and potentially striking out, I was going to hit the next pitch wherever it was located. I knew he was there to throw strikes, not walk me. So I dug in again and awaited the next crucial pitch. Curt wound up, fired and threw. I swung with everything I had. And made contact. As in the case of most of my at bats, I didn’t know where the ball went. I do the same in golf. But I did know that I made contact. So I ran to first as one would naturally do in this situation. But then reality set in as I looked and saw the ball dribbling lifelessly to the second baseman who promptly threw me out. Hey, at least I can say that I made contact. While it may not be the ‘curtain-calling’ moment I had longed for, I do have a story that I can tell my grandchildren. And more importantly it taught me that life’s best moments are sometimes not the biggest moments of your life. They are the journeys and events that it took to get there. And how you use those to shape your future. Curt went on to play for the Baltimore Orioles, Houston Astros, Philadelphia Phillies, Arizona Diamondbacks and Boston Red Sox. 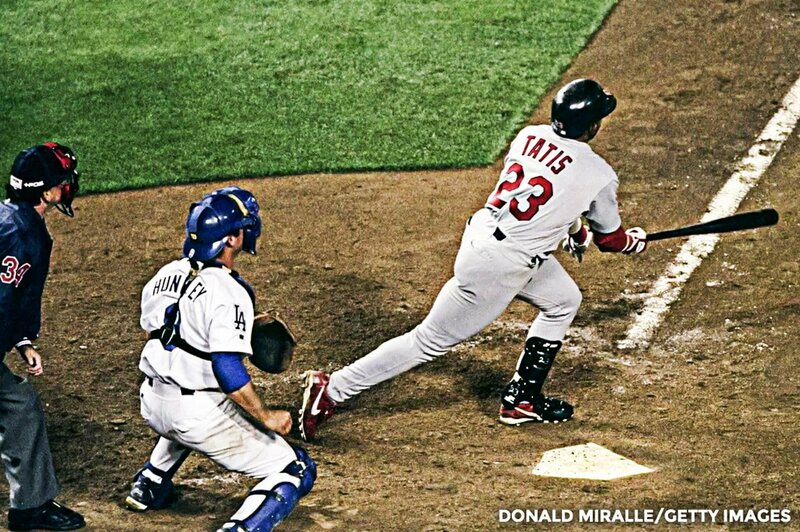 He was a 6-time All-Star, 1993 NLCS MVP and World Series co-MVP in 2001. He played on 4 World Series teams, winning 3 times. 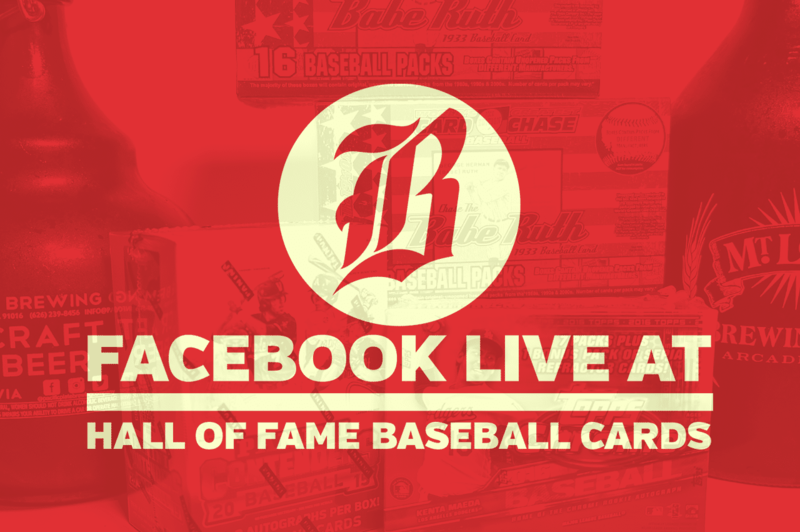 As of today, his career WAR is 79.9 which ranks 63rd in the MLB…all time! 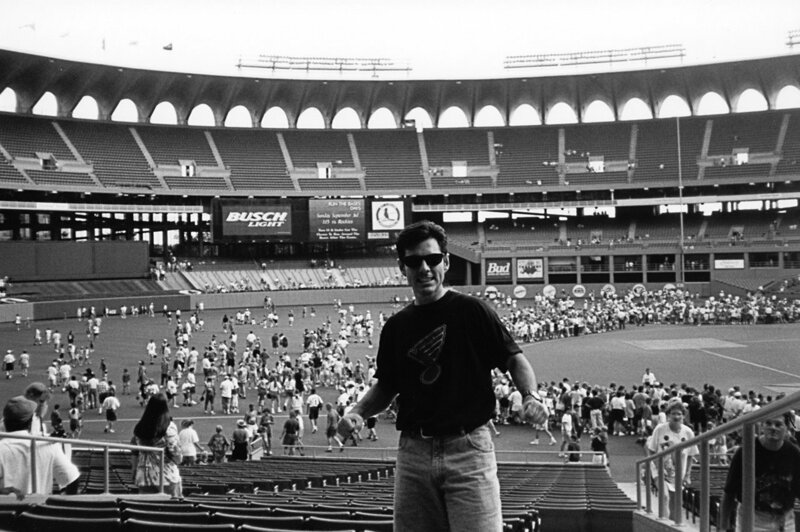 As for me, I now write the Beer Baseball Blog. But, I never did give up on my quest to be an athlete. And in a few weeks time, I will tell you about a kid who grounded out to second base against Curt Schilling who was later in a wrestling ring in Japan and on MTV. Now THAT is what I call foreshadowing. Thank you for reading and I’d love to hear your comments. 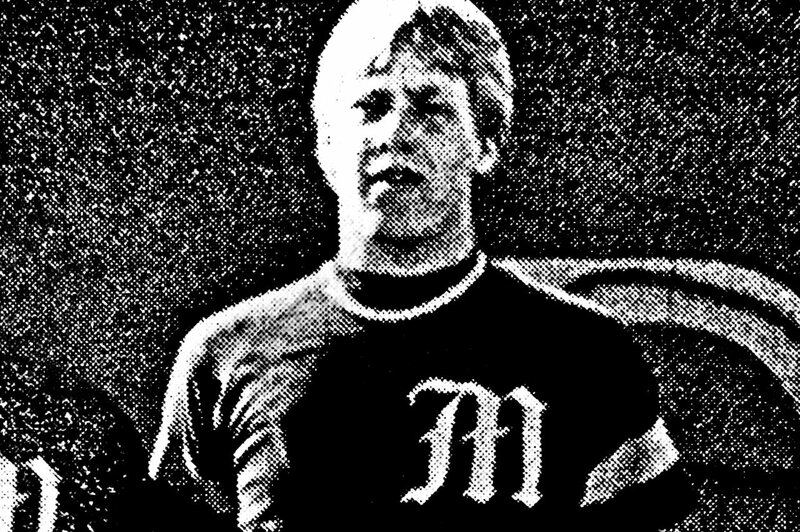 Special thanks to Keven Zeigler for finding the photos from the Shadow Mountain High School 1984-85 ‘Bull’s Eye’ yearbook. Photo credits to Sheri Riley and Carrie Swearngin. Very very cool to read this and I remember that day vividly. These are the things I will take to the grave, the memories this game allowed me to be a part of for so many others. Tell your sister I said hello! Thank you Curt for taking the time to read my story. And thank you for giving me a fun story to tell. You’re the best. I never get tired of this story! At every retelling I’m still hopeful that you work a walk or get a bloop single, but alas history is history. Haha! Yeah, it is probably better I grounded out. It is a better story and motivated me to do more. Did you see that Curt commented on this post? Yes, he of the “2 man dominating rotation” with the Big Unit and Bloody sock of 2004! Curses! I went to Shadow Mt. High School. I could have been your teammate. Are you related to Arnold Mondragon? I played little league in PV East with him. You said that a smaller hitter who had just got a double off Curt named Tim Tennyson? Hello, thanks for reading. I also played in the PV East league. Amazingly enough, I am not directly related to Arnold although we share the same last name. Actually the smaller guy who hit the double was Rick Kohls. I do remember Tim Tennyson, as he was also a senior when I was a freshman. Mike, it reads like buttah! I have a picture of Curtis in his uniform that I took one day when I was talking to him before a game. I wasn’t into baseball, and never saw him play until the World Series. It was very surreal seeing him all grown up and serious, with the weight of the world on him. It is equally surreal seeing your work, on YouTube videos! So wonderful how many of us ended up having wild lives! You rock! Thank you Holly. Yeah, I have lived an incredible life and few people know about it. It is fun to look back and talk about it all. I’d love to see that picture if you have it. Thanks for taking the time to read my story. Good story Mike. Makes me wish I would have pushed a little harder to make the team. I think not making the team at Shea kinda got me gun shy. Remember us playing together and you definitely knew how to play the game. Kevin z, that’s a name is haven’t seen in awhile. I remember playing with him too. He had a really good arm on him. Hey Dan. Thanks so much for the feedback and the nice words. I do remember us playing together. You should have definitely tried out for the team. I probably wouldn’t have made it if you did. Haha. Zeigler and I saw each other the last time I went back to Phoenix and we even caught a few Diamondback games. Thanks taking the time to read. Make Mundragon – Awesome website content throughout this BB blog and excellent story about all the work and effort that went into one grounder to second. Brought quivers reading the part about the weak chain link misguided speech from freshmen baseball. Outside of that, this site resurfaces so many fond memories of our childhood. So thank you for your fantastic stories and keep them coming. Oh by the way, you were one heck of a center-fielder. Thanks Keven, or is it Caven? You are one of the few people that was with me from the beginning and gave me some of my best experiences in sports. And all these long years later we can look back and laugh about it all. The best is we can continue the memories with our kids too. I mean they can’t go another day without understanding who the ‘Yamaha Ghandi’ is. Right? Thanks for reading and the feedback. Means a ton to me. I’m enjoying your blog and loved this story. Growing up in Tampa I had brothers who played baseball and they would often come home so excited to say who they saw that day. Definitely brought back good memories which is why Ibruink I love baseball so much. Very good memories! Cheers! Thank you Patricia for reading and your nice words.